Law schools and the legal profession are currently strongly dominated by a form of orthodox liberal ideology which advocates a centralized and uniform society. While some members of the academic community have dissented from these views, by and large they are taught simultaneously with (and indeed as if they were) the law. 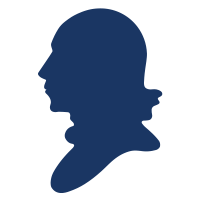 The Federalist Society for Law and Public Policy Studies is a group of conservatives and libertarians interested in the current state of the legal order. It is founded on the principles that the state exists to preserve freedom, that the separation of governmental powers is central to our Constitution, and that it is emphatically the province and duty of the judiciary to say what the law is, not what it should be. The Society seeks both to promote an awareness of these principles and to further their application through its activities. This entails reordering priorities within the legal system to place a premium on individual liberty, traditional values, and the rule of law. It also requires restoring the recognition of the importance of these norms among lawyers, judges, law students and professors. In working to achieve these goals, the Society has created a conservative and libertarian intellectual network that extends to all levels of the legal community.